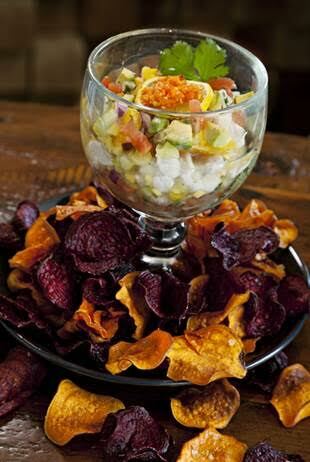 Celebrate National Ceviche Day on June 28th! 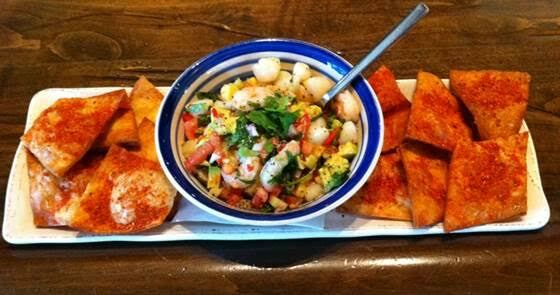 SOL Cocina puts a twist on traditional ceviche and serves up the Hot & Raw Tropical Ceviche that is loaded with flavor! Lime-dressed fish is mixed with fresh Pico de Gallo, avocado, mango, cilantro and lime and is served with a side of sweet potato and beet chips. Yum! Kelly’s at Southbridge is serving up their Rock Shrimp Ceviche. This mouthwatering gluten free dish is served with a side of house made tortilla chips and pairs perfectly with Kelly’s Pomarita. 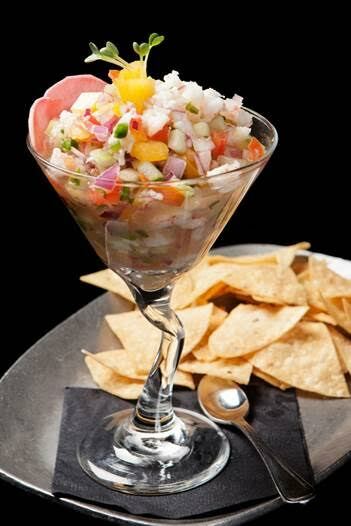 Nothing says summer more than relaxing on Kelly’s patio with ceviche and a margarita in hand! Kelly’s at Southbridge is an upscale 8,000 square foot restaurant that offers traditional pub classics mixed with exceptional modern cuisine and the perfect laid back atmosphere. Kelly’s is located in Old Town Scottsdale at 7117 E. 6th Ave., Scottsdale, AZ 85251. Visit them at http://kellysatsouthbridge.com/ or like them on Facebook at https://www.facebook.com/KellysAtSouthbridge. Looking for a more traditional ceviche? Stop by Taco Guild to enjoy their daily fresh ceviche made with shrimp and scallops, freshly peeled jicama, red onion, Jalapenos, mango, cilantro and avocado. For only $9.95, you won’t be able to pass this one up! Taco Guild is a gastropub that infuses new twists into time-tested recipes. Using farm fresh ingredients, the Guild’s culinary artists mix old world flavors with new world styles. Taco Guild is located in the metro Phoenix area at 546 E. Osborn Rd., Phoenix AZ 85012. Visit them at http://tacoguild.com/ or like them on Facebook at https://www.facebook.com/TacoGuild. ← Previous Previous post: Creamistry Uptown Plaza to Open July 11, Free Ice Cream Day July 23!